The Guardian, here. - These things don’t happen because the journalists that remain are liberals. It happens because so many of them are part of the same class – an exalted and privileged class. They are professionals and they believe in the things that so many other professional groups believe in: consensus, “realism”, credentialing, the wisdom of their fellow professionals and (of course) the stupidity of the laity. This is the key to understanding many of their biases – and also for understanding why they are so utterly oblivious to how they appear to the rest of America. 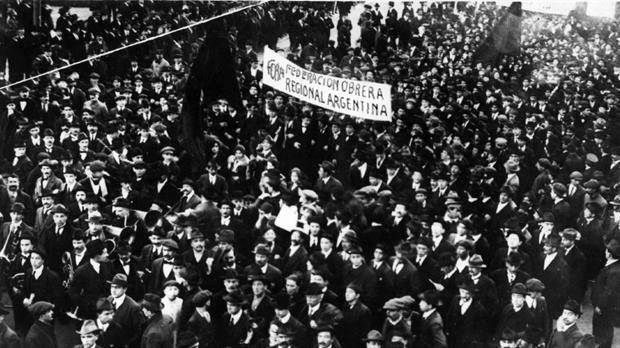 Día del Trabajador: el horrible origen de la palabra "trabajo"
La Nación, aca. - ¿De dónde viene la palabra "trabajo"? Según la Real Academia Española, el origen es horrible: "Del latín tripaliare. Torturar. Derivado del latín tardío tripalium, instrumento de tortura compuesto de tres maderos". He hopes to build a Trump tower in Colombia. But he still lives with his parents. WAPO, here. - TUNJA, Colombia — Of all the would-be business partners of President Trump who have been hoping to capitalize on his win, there is surely no one who stands to gain quite as much — relatively speaking — as young Colombian builder Nicolás Jiménez. That would be great for Jiménez, 27, because he has never built a skyscraper, let alone a hotel or office building, or anything taller than three stories, for that matter. His company does not have a website. He still lives with his parents. “Big things sometimes start small,” said Jiménez, which sounded like something his idol would say.